From her childhood Laia has been trained at different singing institutions, that encouraged her to study music, piano and singing. In July 2008 she obtained her Bmus with honours at the Guildhall School of Music and Drama studying with professor Annette Thompson. During the course 2008-2009 she attends a master in opera studies at the Flanders Opera studio in Belgium and in April 2011 she was appointed “young artist” at Britten Pears’ young artist programme in Aldebourgh. She has sung with prestigious orchestras such as the Orchestre des Champs Elysees, the Orchestra Festival Budapest or the Capilla Real de Madrid and worked with conductors such as Philippe Herreweghe, László Helta and Ivan Fischer. In 2010 she made her opera debut at Teatro Real in Madrid singing the role of Modestina in Rossini’s Il Viaggio a Reims. During the 2012 season she performed the role of Troyana in Mozart’s Idomeneo at the Caen Opera and at the Luxembourg Opera. During the current season she will be the alto solo of Haendel’s Messiah and will take part of the “young operatic voices” masterclasses with the prestigious soprano Mirella Freni. Her solo repertoire also includes: Vivaldi’s Magnificat and Gloria, Pergolesi’s Stabat Mater, J.S Bach’s and Saint-Säens’s Christmas oratorio, Die Erste Wapurgisnacht by F.Mendelssohn and Mozart’s Requiem, Vesperae Solennes de confesore and Spazenmass. She has worked in master-classes with singers/pianists such as Nancy Argenta, Rylan Davies, Mª Dolors Aldea, Richard Jackson, Mark Padmore, Ann Murray, Graham Johnson and Pietro Rizzo. 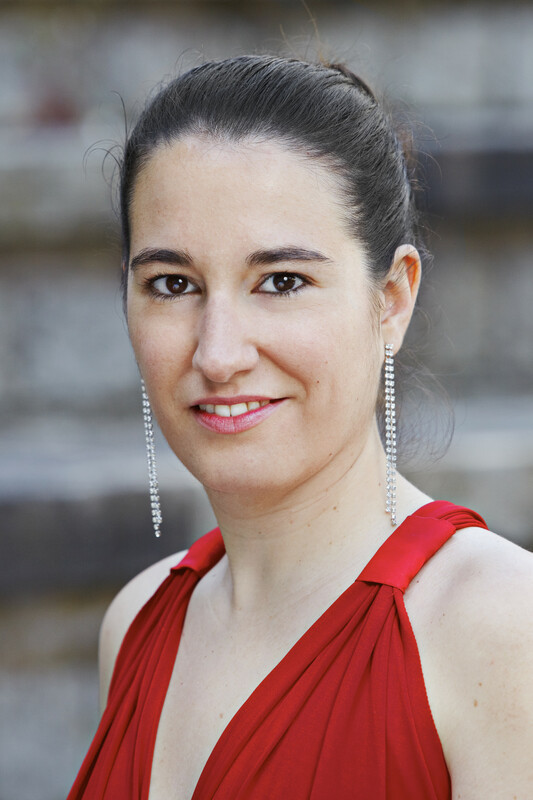 She works regularly with groups such as l’ensemble Pygmalion, Aedes, Arsys Bourgogne and l’ensemble Correspondances in France and Collegium Vocale Gent in Belgium as a choir member and soloist.